Hey Scot a little history might help you but I doubt it ! New research finds that religious countries and US states produce fewer patents per capita. Yeah, if you think about it we're not that far off from Genesis 2:17 because the Internet compartmentalizes minds as much as it does to broaden them and in the end–its the bad apples that end up spoiling things or everyone else: "But of the tree of the knowledge of good and evil, thou shalt not eat of it: for in the day that thou eatest thereof thou shalt surely die." Not only is the Internet and associated technology hurting our economy, it is continually displacing human-based work: robots in warehouses, robot-concierges now in NYC hotels, drones soon-to-replace delivery-persons at Amazon, etc etc etc. The Internet is hurting our economy? Sorry. It's the biggest boon we've had in a long time. And technology shift is nothing new. I'm sorry but robots aren't taking jobs en-mass. It's a typical argument of the technophobe that the machines are going to make us worthless. On the contrary, they free us to accomplish more and do more things with our minds rather than continuously doing drudge work. The Internet and the technology in and around it are the greatest thing to happen to humans since the control of fire. 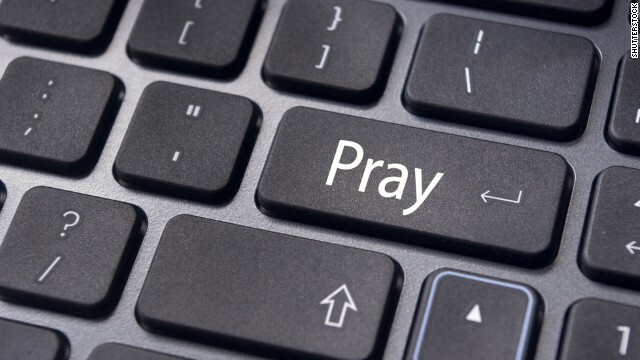 yes ... the internet IS killing religion. and more people are becoming aware of how ridiculous it is too. Death, life life, is a natural process. We sought Utopia (prehistory). We found Dystopia (history). But now we live in Topia (posthistory). I thought Topia was a fish they served in Chinese fast food restaurants. Anyway as long as it isn't religion. See you later, now back to the Internet. If a circle has a diameter of 10, then the circ-umference is 30. The Internet isn't the one killing religion. For years and years, humans have just gone along with what their parents have told them. Oh, your mother is a Christian? Well, I guess you are too. We never really questioned it until we could access the Internet. Now, we can finally explore other religions and think for ourselves for once. for all Nations on earth now. I suspect religion killed off all forms of exotic life. That is if the Bible really is the truth. Kinda sad to think its only humans and non speaking animals. The jerks killed off the unicorns and bigfoot and other mysterious life. Every once in a while we get a peak at what life could be but then there are reports of poachers killing them off and such. Good example is that super sized ostrich that stood taller than 10 feet tall and our heads would only reach its knees which was located in new zealand. Humans do not care for other forms of life. Only human life matters. With vasts amount of readily available data with only taking moments to search we can see many truths that are not lies at all. For instance if you wanted to see the very first instance of Ashkenazi you would find it in OLD KING JAMES in Genesis 10:1-5 and the word of GOD mentions they are all gentiles. I think you meant to say "With vast amounts of readily available data with only taking moments to search we can see many lies that are not truths at all." That makes FAR more sense. took one step back and tossed his ring at some of the tron players and it sliced him in half and he disintegrated back into tron's digital grid. The crowd became silent and the ancient tron player smiled as he caught his disk. They had this look on their faces which the open mouth that only a seasoned combatant loves. That is a terrible analogy. Here's what's killing religion: 1) media access to facts, research, and ideas, and 2) religion itself. Humans are spiritual creatures, which is great, but religion is a scam. All religion does is scare people into giving their money to the religious "leaders." People are learning that they don't need religion–they can get along just fine without it. The internet is just a tool to help them come to that realization. That's right. The internet is the best thing to happen to religious deprogramming. All those people that were indoctrinated into a religion since birth, now have a tool to do their own research and find answers to all the questions that where denied to them. Once they start looking into it and see what a bunch of hog wash it is, then they finally realize that they have been lied to since they were kids.